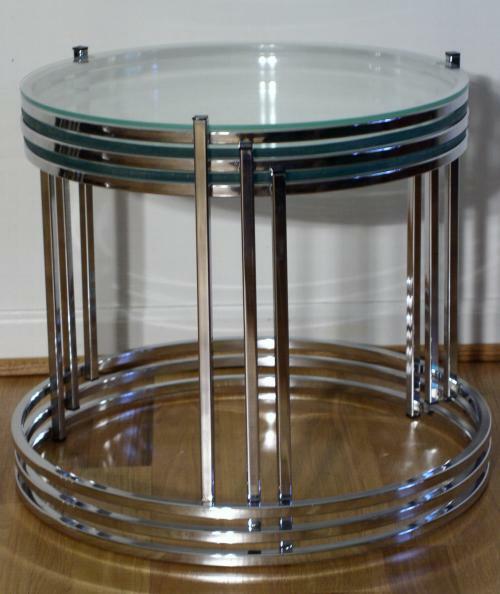 Unusual chrome nesting table set (guessing 1980s). Modern design throw back with Eileen Gray, Deco ,machine age influences. Each table is identical with slightly larger bases so that they can stack over each other. Goes well with many different styles.